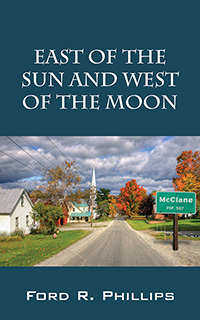 East of the Sun and West of the Moon is an entertaining collection of short stories that all take place in and around the small, fictional southern IL town of McClane. The author, Ford R. Phillips, grew up in a very small town in southern Illinois, much like McClane, and these stories and the characters therein are all derivative of that experience. The significance of the book’s title is explained in the preface: “Now, said the old woman, I think you had better take my horse and ride to the East Wind and ask him. It may be that he knows the way to the land East of the Sun and West of the Moon.” … from an old Norwegian folk tale. The little town of McClane is now “East of the Sun and West of the Moon.” It no longer exists, except in the distant and dust-laden memories of all the people who have left it. The town, the author knew, is no longer there. It has been completely swept away by the repeated wave actions of time. A synopsis of East of the Sun and West of the Moon stories: The Turkey’s Funeral – A young boy discovers his conscience. The Gospel of Nora and the Maytag – One great physician helps another. Ivory Soap, Harry Caray and the St. Louis Cardinals – A radio broadcast sparks a childhood recollection. Devil’s Island – A young man makes a discovery about life. Potato Bug Jackson – An examination of life through a little boy’s existence. The Nativity of the Silver Hatchery – A Christmas tale of hope. The True and Lamentable Tragedy of Clyde and Velma – An age-old tragedy played out again. Nothing Gold Can Stay – Inspired by Robert Frost’s poem, one can never know when their childhood will end. The Saw Dust Pyramid – A mysterious stranger appears and disappears. Gobble vs. Socrates – You don’t have to be well-known to be a great philosopher. Manna from the Missouri Pacific – Manna that comes your way may not be what it seems to be. Mr. Phillips grew up in a small town in southern Illinois at the edge of the Shawnee National Forest. At age 14, he moved to Cape Girardeau, MO, just six miles away, where he attended high school and the local university, receiving a B.S. in English and a Master of Arts in American literature. 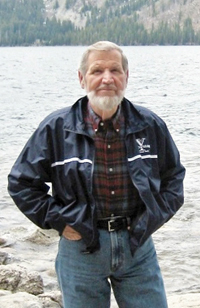 He has two grown children and has been married to the love of his life for 50 years.